The Generac Cold Weather Kit is recommended for PowerPact 7kW units installed in regions where temperature regularly falls below 32 F.
The kit consists of an automatic thermostatically controlled battery pad warmer and crankcase heater and breather warmer. When temperatures fall below an acceptable level, the thermostat activates the battery warmer maintaining optimum battery temperature and also activates the crankcase oil heater for the best generator starting. 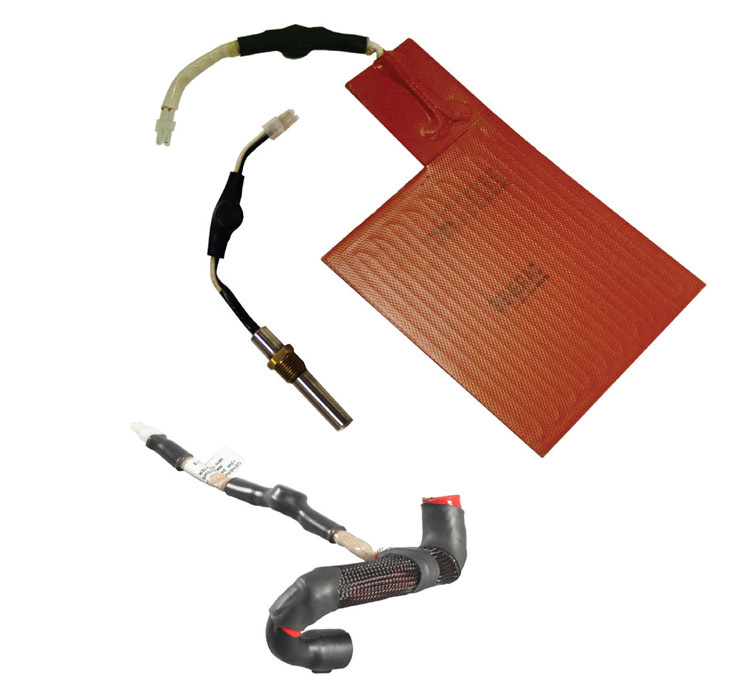 When installing a cold weather kit, it is required that the oil is replaced with 5W-30 synthetic for better engine start capability.